The hotel is 5 km from Side shopping and historical sites. It is just 400 m from the private beach. 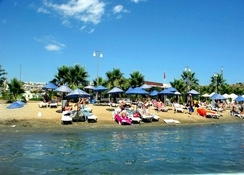 Antalya Airport is 70 km away.This air-conditioned beach hotel comprises a total of 195 guest rooms. 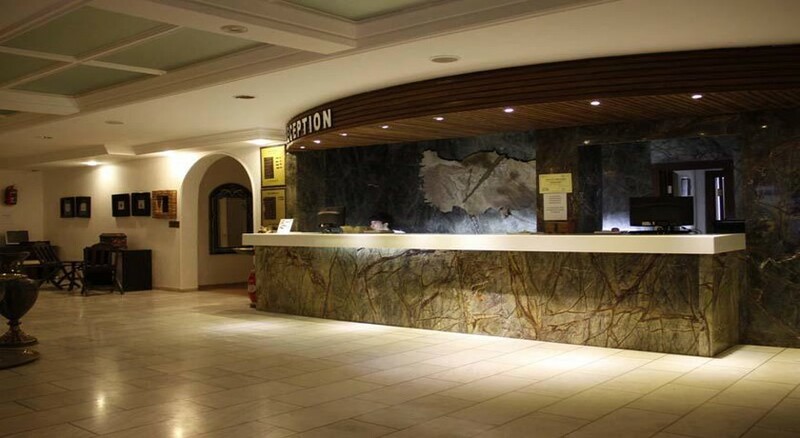 Guests are welcomed into a reception hall with a 24-hour check-in and check-out service. Facilities include a hotel safe, currency exchange, lift access, a newspaper stand, hairdressing salon, TV lounge, bicycle hire, garage (fees apply), car park and a children's playground. For dining and drinks, guests can enjoy the hotel's own bar and restaurant. Room and laundry services are on offer as well (fees apply). This area has been awarded the "Blue Flag" given by European Environmental Education Foundation which guarantees cleanness, safety and excelent service for visitors.Each room features a double bed, a private bathroom with a hairdryer and a balcony. Other amenities include a direct dial telephone, satellite/cable TV, radio, minibar, safe and a seating area. Centrally regulated air conditioning and central heating are also standard features.Guests can relax with sun loungers and parasols on the private beach. The hotel also has a swimming pool with a children's section, sun loungers, parasols and a poolside snack bar. Guests may enjoy aerobics, water aerobics, the solarium, table tennis, basketball and the gym free of charge, or the sauna for a fee. There are also facilities for massage treatments, banana boating, waterskiing, jet skiing, motor boating, diving, surfing, sail boarding, sailing, catamaran sailing, canoeing, pedal boating, tennis, horse riding and mountain biking (fees apply to all these activities).All meals are served buffet-style.